Investing in new lighting for your home is exciting, but it can be expensive. One option that won’t break the bank is to get creative with lamps. Style director Louise Hilsz shares the latest trends and talks with a colourful interior expert on how to buy and style the perfect lampshade for any room in your home. Glass and perspex are hot right now. These finishes lean toward a modern, ergonomic style ethos. Perfect for any minimalist looking for something special to compliment any room. 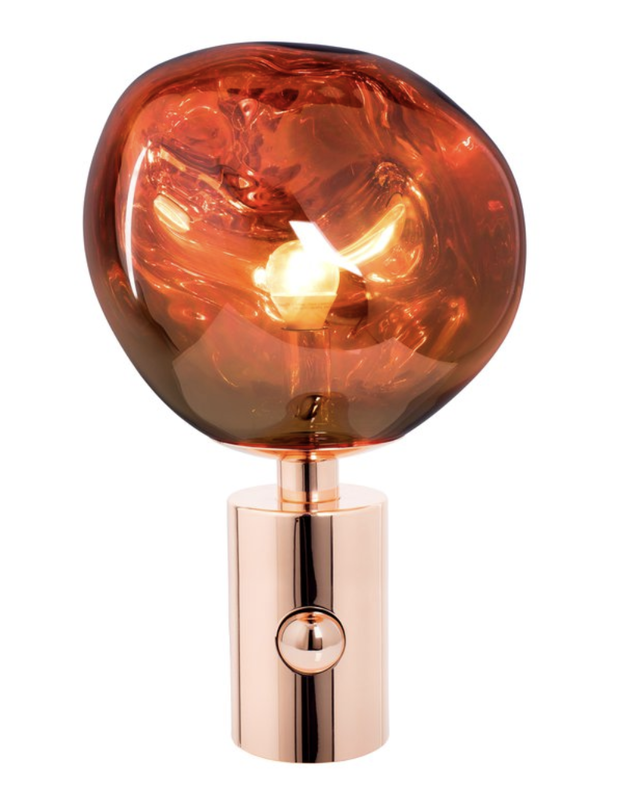 Tom Dixon Melt table lamp from Ecc, $POA. Flos Bon Jour Table Lamp, $865. Established and Sons Lighthouse lamp from Simon James, $POA. Fatboy Transloetje Table Lamp, $183. If you're unsure about a house full of maximalism the best place to start is with a statement lamp. It's easy to add or remove it when you tire from that look, and it's the ideal decor style to give any living space an exciting injection of colour. A la Palm tree lamp, $692. 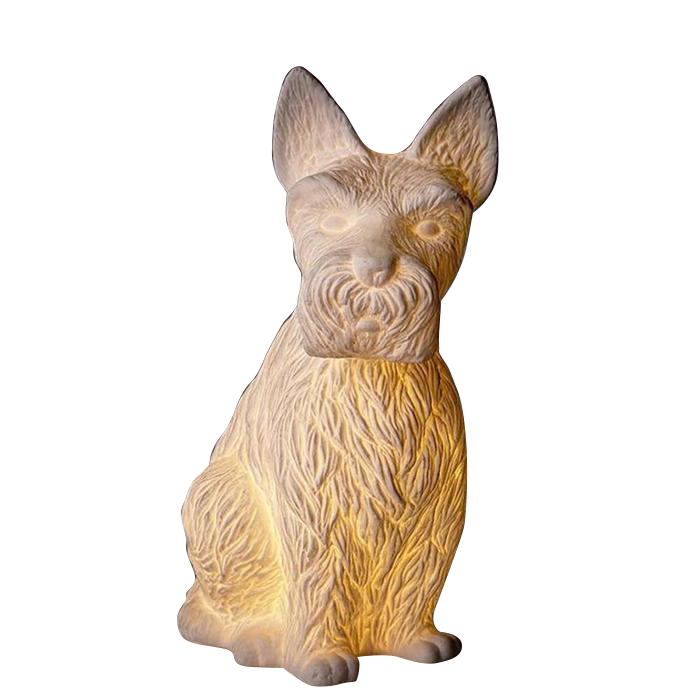 Have You Met Miss Jones Scotty dog lamp from Bolt of Cloth, $179. Goodnight Light Piña Colada Lamp from Allium, $249. Kartell This Is Not A Moschino Toy Lamp by Jeremy Scott, $358. Buying just the base is a great way to start an interior craft project. Our favourite is ceramic or glass, the great thing about a statement base is that you can switch up the shade to suit your mood from season to season. Republic Home Atelier lamp base, $699. Anna Jacobs Burnished Gold Flex lamp base, $283. 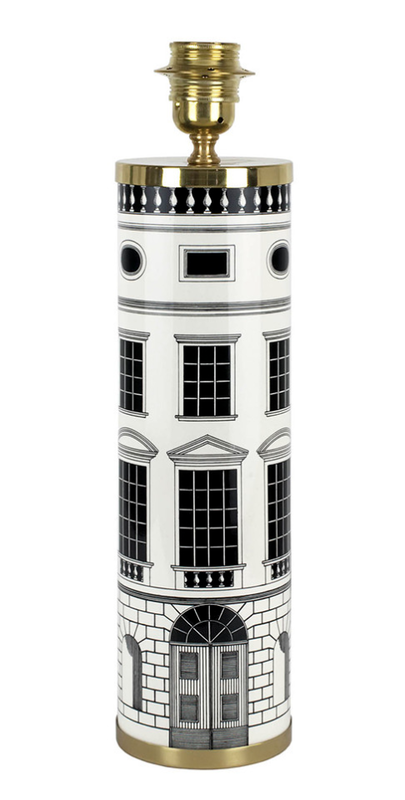 Fornasetti Architectura Lamp from Design 55, $2550. Nkuku Baba GLass base, $244. Kemps lamp collection in her Auckland home. We spoke to BeautyEQ influencer and design-interiors extraordinaire Evie Kemp for advice when choosing the perfect lamp for your home. Here are her top tips. — Evie Kemp - interior expert. I've bought lots of lampshades from Trademe, but my favourite places to shop are Bold Lampshades or Bolt of Cloth. Both these stores make to size. I have recovered a lot of plain white lampshades using fabric, and spray adhesive and a lot of pegs to hold it in place - this is best for just straight drum shapes as any taper makes it much trickier. When choosing a shape and style, the proportion is so crucial to make sure the shade you chose is wide enough and tall enough for the base. My tip to keep in mind when shopping, a broad chunky base will look off balance with a small a shade and visa versa.